The Singapore Sling 100th Anniversary Suite Package from AUD1,322++ (S$1,380++)* immerses guests in the complete Sling experience. In addition to nightly accommodation in a luxurious Courtyard Suite with breakfast for two, guests will enjoy a 30-minute private session at the Long Bar with elite bartenders who will demonstrate how to whip up the cocktail. If guests work up an appetite from all of the behind-the-bar activity, they can satiate the stomach with delicious satay (a local dish of succulent pieces of grilled meat served on a wooden skewer). At the end of the workshop, stroll over to the Gift Shop to pick up the complimentary Singapore Sling gift basket worth AUD287 (S$300)*. Inside, an assortment of Sling memorabilia promises to evoke fond memories of the Raffles experience. For cocktail lovers with a sweet tooth, the SlingaPore is the perfect way to indulge. Inspired by the Singapore Sling, the cake is an irresistible pastel pink and is both zesty and honeyed at the same time – thanks to the lime sponge paired with pineapple mousse, Singapore Sling marmalade and cherry jelly. Sold as individual servings or a whole cake in Ah Teng’s Bakery, it can also be enjoyed at Raffles Grill restaurant in the dessert course of the classic 1950s’ Elizabethan Grill Tribute Tasting Menu (AUD240++)(S$250++*). The menu is specially created to celebrate the Republic of Singapore’s 50th birthday this year and features dishes such as Dover Sole Fillet and Welsh Lamb Saddle. Ever wondered how the Singapore Sling is made by the pros? Participate in the Singapore Sling Masterclass (AUD84++ (S$88++*) per person with a minimum of 10 persons) where the bartenders at the hotel’s Long Bar will disclose the tricks to make the perfect cocktail. In between blending the gin, Dom Benedictine and Cointreau, visitors can snack on juicy skewers of satay served with a delectable peanut sauce and crunchy cucumber slices. 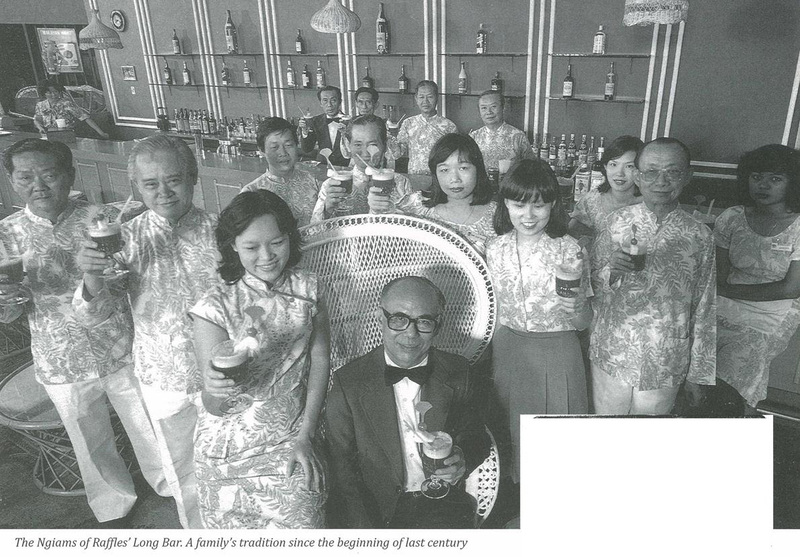 After all that mixing and shaking, a special commemorative Singapore Sling glass is presented as a memento – and perhaps it might even inspire your own a Sling session at home. 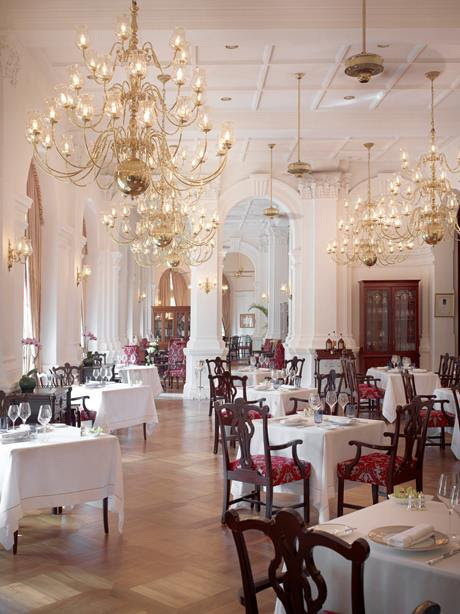 No visit to the iconic Raffles Singapore is complete without a side trip to its Gift Shop. This year, the Gift Shop is stocked with a range of Singapore Sling merchandise that will make the perfect gift. In addition to the perennially available Sling-flavoured chocolates and marmalade, the collection has expanded to include key chains, T-shirts and tea. The Singapore Sling Glass, just like the ones served at the Long Bar, is also for sale, updated this year with the commemorative 100th anniversary logo. 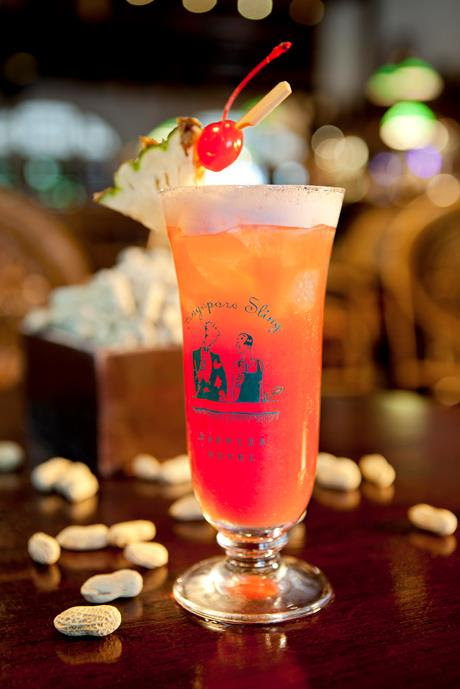 Whether guests choose to stay, eat or shop with Raffles Singapore, a visit to the Lion City is complete without stopping by the Long Bar to enjoy a Singapore Sling. 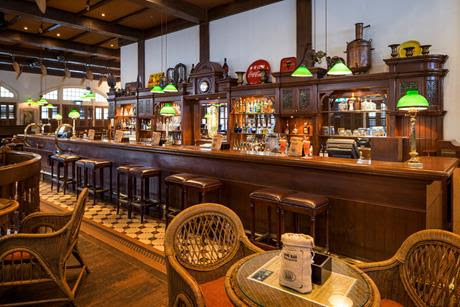 Open at 11am every day, the bar fills up quickly with both guests and visitors to the city, eager to try the world-renowned drink right where it was founded. 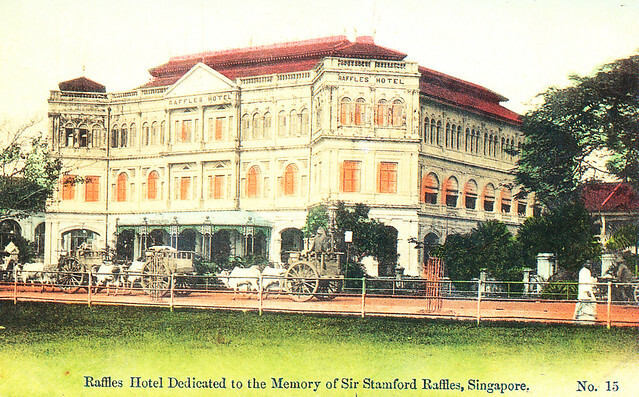 Raffles Singapore opened in 1887, Raffles Singapore is one of the few remaining great 19th century hotels in the world. Till today, its architecture is perfectly preserved both inside and out, giving it an intoxicating blend of luxury, history and classic colonial design. Within its walls are 103 expansive suites, framed by polished teak verandas and white marble colonnades, clustered around lush tropical gardens. 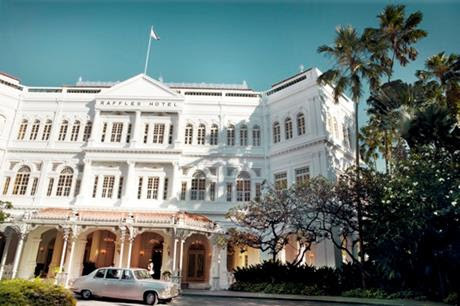 Each is serviced by the legendary Raffles butlers and offers every modern convenience necessary.